The rum mixture called legacy by Angostura was specially crafted to celebrate the 50th anniversary of Trinidad and Tobago independence with only 20 bottles produced. It has enough of a rare factor to justify the 25 grand price point but wait each bottle of rum comes in a case and crystal decanter that was designed specifically by Angostura of London. This is the same company that designs jewelry for Prince Charles. Chateau D'Yquem, a wine producer in the Bordeaux region of France has been in the business of making wines for over 300 years, with their first bottle being sealed in 1711. 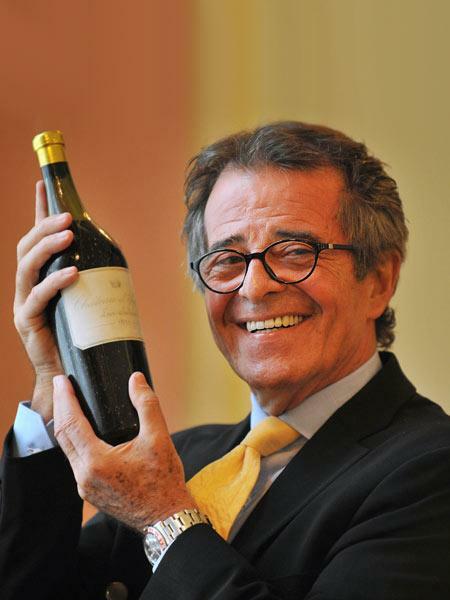 100 years later in 1811 they finally managed to create one of the incredibly few bottles of wine, they made the perfect wine that mark was given by wine critic a Robert Parker who sampled it in 1999. The wine comes with a modern wooden piece case designed by furniture craftsman Andrew Bartlett with only 12 bottles of this wine ever produced. You can be the owner of one of the finest wines money can buy. The thing is the company policy states that a company representative needs to be around when the bottle is opened to assure perfect conditions. Kim Rashid inspired by Bombay Sapphire collaborated along two more leading names in the world of luxury in design Gerard and Baccarat, in order to create the revelation crystal bottles priced at $200,000 each truly unique with its own individually designed stopper decorated with sapphires and diamonds set by the oldest jewelry house in the world Gerard, well known across the entire world by its striking translucent blue bottle. 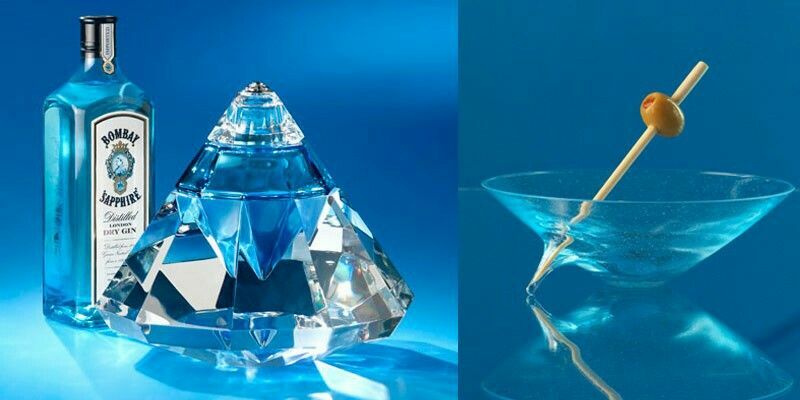 Bombay Sapphire has won the world's finest glass creations for the last 20 years, all of the profits from the selling of Revelation will benefit the travel retail industries chosen charity, the Smile Train which provides life enhancing cleft surgery to children in poor countries. Also known as “Ace of Spades”, this is probably the most popular champagne featured in this ranking for $215,000. You get a thirty litre bottle of the finest champagne in a gold-plated bottle. This was jay-z's favorite champagne brand, so he bought the company a couple of years ago. 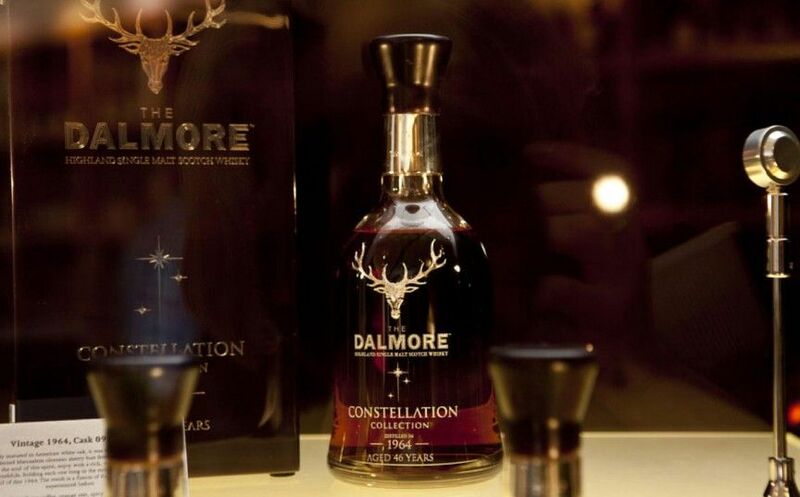 Only 12 bottles of Dalmore 62 were ever produced. A recent transaction involving the drink came from an anonymous man who purchased a bottle at the Changi Airport in Singapore. If there is any place in the world where you can actually pick up a $215K of whiskey; that place is Singapore. 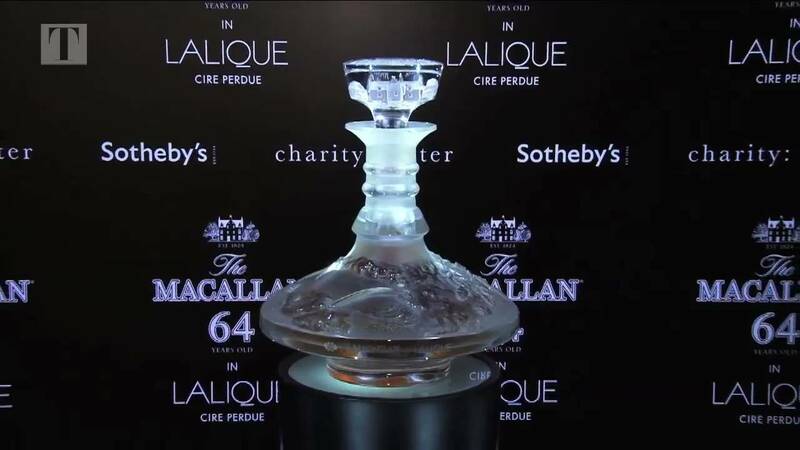 To mark the 150th anniversary of the birth of Renea Teague, the founder of the world's foremost crystal artisans they combined the creativity and craftsmanship of the Macallan and Lalique using the lost wax procedure to create a truly unique one-off piece of art. 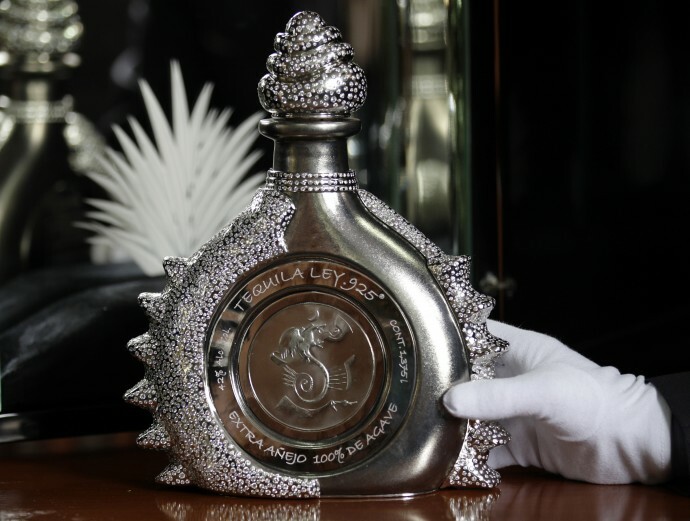 The 1.5 liter decanter was auctioned in a cooperation with soft fees on the 15th of November in 2010 in new york and sold for $460K, making it the most expensive bottle of whiskey in the world. 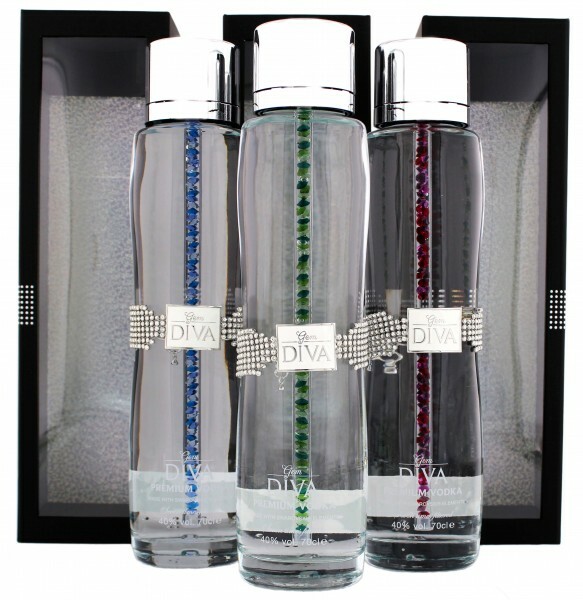 This expensive vodka is first iced filtered then goes through nordic birch charcoal for purification then filtered through sand that contains both precious and semi-precious gems, just because finally each bottle of diva vodka contains a removable glass tube column filled with 48 brilliant-cut gems and crystals running down the core as garnishment and decoration that can be customized to your choice. The owner also picks the colors of the gems, so each bottle is uniquely designed for them. This bottle is covered in 24 karat yellow gold sterling platinum and 6,500 brilliant cut diamonds. 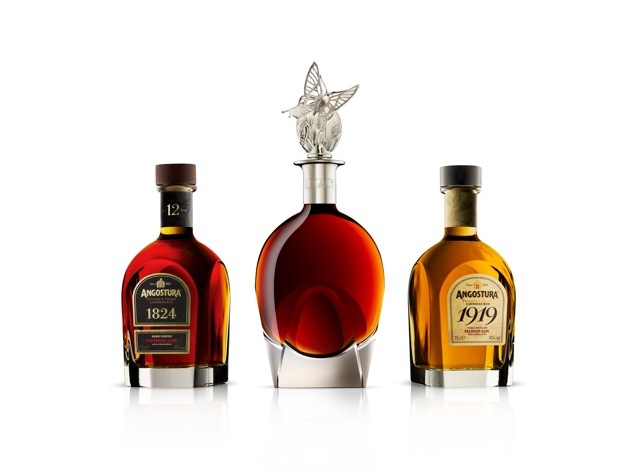 Designed by the famous jeweler Jose Duvall, the Henri IV Dudognon Heritage is also dubbed as the DNA of cognacs. This liquor has been produced since 1776 is aged in barrels for more than 100 years and has an alcohol content of 41%; it tastes like heaven. Engraved by a Mexican artist Alejandro Gomez Oropeza, this tequila is made from pure sap of the blue agave plant that has been fermented distilled and aged for 6 years. It is the most expensive bottle of tequila out there only 33 bottles were ever produced and it currently ranks the world's most expensive alcoholic beverage. The tequila contained in these bottles is a blend of 10 year old and 5 year old tequilas. 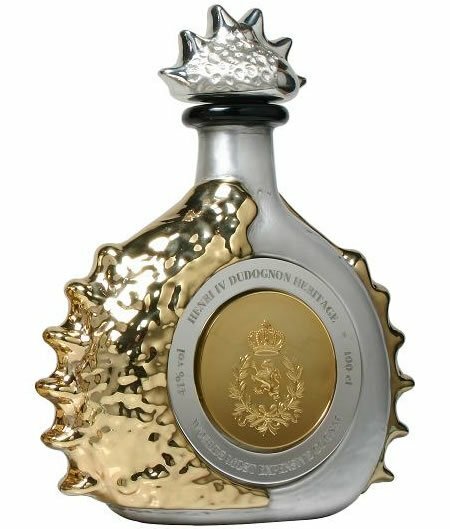 The bottle matches the one of the Henri IV Dudognon Heritage, ranked number two on this list also featuring 6,500 and platinum mixed with gold.